Shares of auto ancillary companies, mainly mid and small-sized firms, were in focus and traded higher by up to 15% on the back of positive corporate announcements. Setco Automotive hit a 52-week high of Rs 48.40, up 15% on the BSE in intra-day trade on back of heavy volumes. The company reported nearly 14-fold jump in its standalone net profit of Rs 13.76 crore in September quarter (Q2FY18), on back of healthy operational performance. It had profit of around Rs 1 crore in the same quarter last year and a net loss of Rs 11.89 crore in June 2017 quarter. EBITDA (earnings before interest, taxes, depreciation and amortization) margin improved to 13.9% in Q2FY18 from 12.6% in Q2FY17. The company said improvement in margin on account of increase in operating volumes, implementing price increases with all customers, improvement in operating efficiency and control over fixed costs. “Increase in volumes by around 15%, coupled with operational efficiencies and control over operating and fixed costs, is expected to improve EBIDTA margins in H2FY18 by 200 BPS. The company’s standalone cash flow and balance sheet will significantly improve with redemption of entire preference shares of Rs 34.65 crore during the year,” Setco Automotive said in a statement. The trading volumes on the counter, up by nearly five-fold with a combined 11.76 million shares changed hands on the NSE and BSE till 12:44 PM. Fiem Industries was trading 6% higher at Rs 944 after hitting high of Rs 953 on the BSE in intra-day trade. 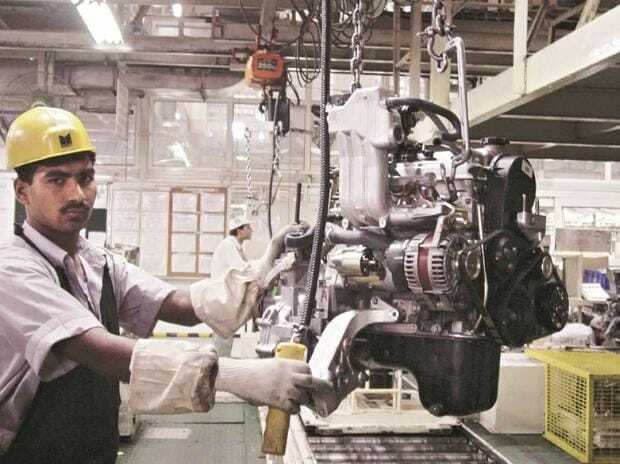 The company today said that it has signed a 'Memorandum of Understanding' (MoU) with Aisan Industry Co., Ltd., Japan and Toyota Tsusho Corporation, Japan for establishing a joint venture company in India to manufacture fuel pump module and IC connector Assembly for two-wheelers and three-wheelers. Fuel pump module will become mandatory for two-wheelers and three-wheelers w.e.f. April, 2020 under Bharat Stage VI (BS VI) regime. SSWL was too trading 5% higher at Rs 1,059, after surging 9% in intra-day trade as the company said it achieved highest ever monthly sales turnover of Rs 172 crore, up 34% helped by record truck sales in November 2017. “The company achieved total wheel rim sales of 1.29 million Vs 1.19 million in November 2017 representing a growth of 8% year on year. The volumes of truck segment helped post highest healthy revenue growth for the company”, SSWL said in a press release. On Friday, the stock hit a record high of Rs 1,100 in intra-day trade after the company said it is in advanced stage of discussions to finalize long term contracts with multiple European customers and expects to close them by early next year. SSWL also announced that it bagged another exports order for European trailer market.